Researchers at the Kavli Institute for Brain and Mind at the University of California San Diego have developed a technique for imaging brain activity in a freely walking fruit fly. Working with one of the most common model organisms in science, Drosophila melanogaster, the team shows for the first time what goes on in the brain of the fly during courtship – when it’s unrestrained. Dubbed “Flyception” by the researchers, the novel imaging system is described in Nature Methods. Brain imaging in fruit flies is widespread. But most conventional techniques require immobilizing the fly’s head under a microscope. Picture for a moment being asked to go on a first date strapped inside an fMRI scanner. It might be pretty hard to act natural (let alone charming). Fruit flies have had the same problem. As a consequence of the restraints, brain responses during many fundamental fly behaviors remain poorly understood. The new technology, the researchers say, could change that – enabling scientists to gain insights on neural processes that underlie mating, fighting, sleep, learning and memory. 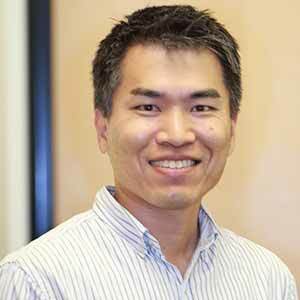 The UC San Diego team’s solution features two technical innovations. 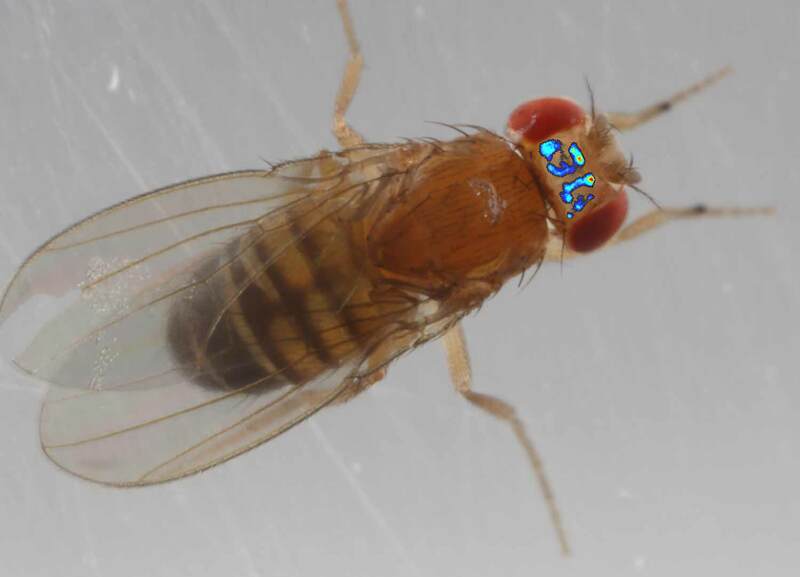 First, the researchers created an imaging window on the fruit fly’s head. They surgically removed the exoskeleton from the top of the head, which is about the size of a few grains of salt, and sealed the opening with transparent silicon adhesive. They then placed a small piece of coverslip on the head to create a flat surface suitable for imaging. This window provides a view of the protocerebrum, or the upper half of the fly brain. Activity of fruitless-expressing neurons in the male brain during courtship. Second, they developed computer vision techniques to track a freely walking fly with unprecedented speed and precision. The system is built with rotating mirrors mounted directly above the walking arena that houses the fly and uses three cameras. As the fly walks, the mirrors, controlled by a low-magnification camera, rotate to bring the fly in view of a second, higher-speed, higher-magnification camera that further refines the mirror position so that the head of the fly is accurately positioned in the center of the view. 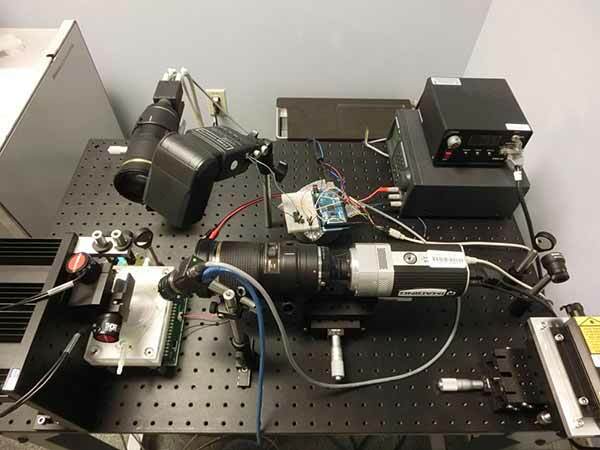 A laser beam also targeted at the moving mirrors, and consequently the fly head, excites fluorescent genetic markers linked to specific neurons in the brain, and a third camera, a high-sensitivity one, records activity of those neurons. All of this takes place in real time at 1,000 frames per second. 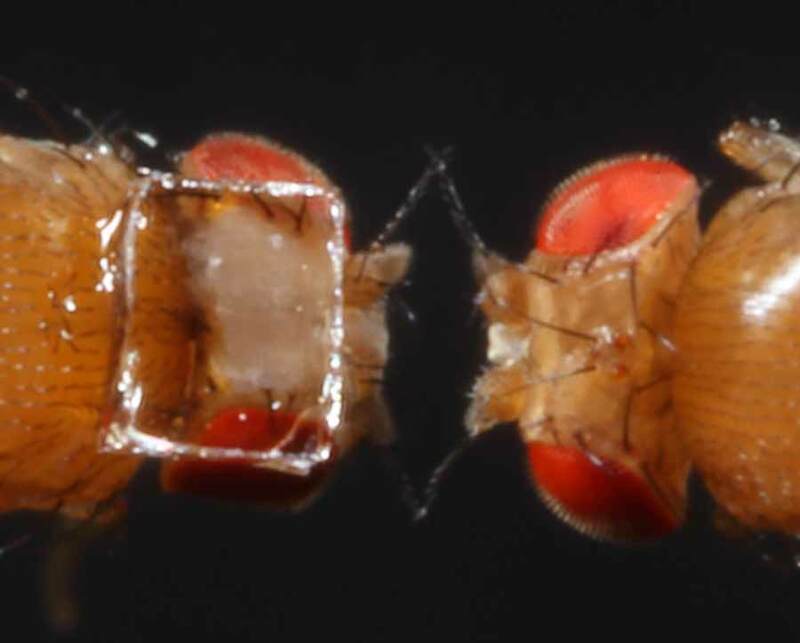 At left, surgically created imaging window on the fruit fly head. Previous research has attempted to mimic a fly’s freely moving behaviors. One approach, for example, features a fly treadmill, where a tethered fly walks on an air-suspended ball and is presented with various stimuli in a kind of virtual reality setup. But it has remained difficult to study, in restrained flies, the fundamental activities needed for survival or the sorts of complex social behaviors in which flies voluntarily interact with each other. Although the fly and mammalian brains are quite different anatomically, there is evidence for similarities in genetic programming and network connectivity, the researchers say. An advantage to studying the fruit fly brain is that it is relatively small, with about 100,000 neurons, yet sufficiently complex to display social and cognitive behaviors. Recent research has also suggested some emotional behaviors in flies. Another advantage to studying the fly brain is the availability of powerful genetic and molecular tools that can be used to manipulate and record neural activity at the level of the single cell. 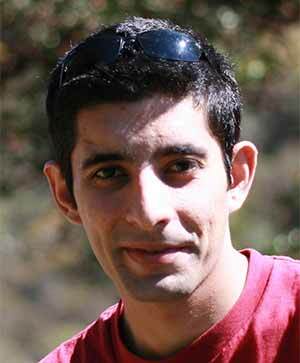 Katsuki’s co-authors on the study are Dhruv Grover, assistant project scientist at KIBM, and Ralph Greenspan, director of the Center for Brain Activity Mapping at UC San Diego, associate director of KIBM, and co-director of Cal-BRAIN, California’s counterpart to the federal BRAIN Initiative. The work was supported by the Kavli Institute for Brain and Mind Innovative Research Grant 2014-010 (to Katsuki) and by the Qualcomm Institute’s Calit2 Strategic Research Opportunities Program CITS145 (Greenspan and Grover). The DOI for the paper is 10.1038/nmeth.3866.